Remember the dark circles on Michael Phelps' shoulders during the olympics a few years ago? They are the result of Cupping Therapy, a technique that we incorporate into acupuncture sessions for sports injuries and muscle aches. Glass or plastic cups are placed over areas with stagnation. Air is pumped out of the cups creating a suction. The suction releases stagnant blood and energy to the surface creating a bruise. The result is typically immediate relief of the ache. Its amazing! And those hickies typically disappear in a few days. What's extra amazing is, if you cup an area without stagnation, no bruise will appear! I received some cupping for an achy back and neck! it helped so much! these are the marks left - they will dissapear in couple days. I am just feeling so grateful and connected to the magic of life and i wanted to share it with you. A couple of days ago i had a severe anaphylactic shock reaction to a wasp sting while hiking with my 3 year old, Luna. Just in case you are wondering - i made it =) And it was with so much grace and many miracles that i did! Amazingly the perfect people aligned to be present exactly, and i mean exactly when i needed them. My neighbors were called by my wife Amy and they happened to be walking right down the street and saw me as i was losing consciousness. They were able to take care of Luna and Nimbus the dog and RAN to my house to get my Epipen. AND then an emergency room doctor just happened to be walking right there! Right there when i needed them most, the universe conspired to shower me with - what i'll just call angels in action. If that alignment of souls did not arise, i might not be here to write this letter. Its times like these that really put things into perspective. I just have so much gratitude for life and am so thankful that i have the gift of spending my precious time doing the work i love to do with you. And since we never know when the bell will toll for us, i want to take this opportunity to thank you so much for allowing me to be part of your journey, it's truly an honor! If life gets you down, you get lonely or upsets happen, remember that there is no doubt that a subtle but powerful force connects all of us! To a long and happy life!!! I hope you are having a great start to the week leading up to Independence Day. This day celebrates our freedom from the Kingdom of Great Britain, but the meaning of freedom continues to expand. I've been contemplating freedom a lot recently while following the status of Nelson Mandela, who is in critical care. Obama recently went to South Africa and urged it's people to carry forward the legacy of this great man (article). His story holds a special place in my heart because I moved with my family from South Africa to America in 1986. My father risked everything to come to America so that he could have peace of mind. While in South Africa, we lived in a middle class white neighborhood outside of Johannesburg where extreme inequality and violence was normal. The average white person's house was roomy, had a swimming pool and maids. They also had 15 foot brick walls with electric barb wire fencing on top. Even though white people were technically free they had created their own prisons. Outside our big brick walls it was normal to be carjacked or held at gun point and the government was very controlling. They censored which books and movies we were allowed to watch and of course, they controlled the news. During apartheid (1948-1990), black people were not considered citizens of South Africa. Their rights were stripped away and they were forced to live in overcrowded shanty towns. Mixed marriages of blacks and whites were illegal, families were torn apart. Buses, water fountains, public bathrooms, beaches, hospitals, and schools we all segregated. Four years after my family left South Africa, Apartheid was finally abolished and Nelson Mandela was released from his 27 year stay in Prison. That man changed the face of the world and humanity got to see what moving forward together can look like. Through my 20's, like many others of my generation, I was comfortable with the freedoms in America and I took them for granted. I had a growing sense of mistrust with our government and felt we were being manipulated by the media and I would complain to my parents that America was an unjust country. Now, let me just say that there is a lot of media manipulation and plenty of injustice in America, but what I am more interested in just now is the historical context for all of this and where we can go. My parents lived through a dark mark in human history and they have gratitude each day for the freedoms we enjoy here in America. And those freedoms are here because of men and women that dared to see and demand for more than what was given to them. Yes, they fought and died in wars, but they fought for something so much bigger than themselves. And they knew about a better life to be had because of people who dared to speak it and write it and live it. We are so grateful that you are part of our growing holistic medicine community in Wayne! With each of our services and classes we are committed to holding space that allows you to truly thrive! Please enjoy our May events below and let us know if there are any offerings that you would like to see added to our menu! 1. Jenni Kay, our spectacular Holistic Psychotherapist and Yoga Teacher is happy to share that she has added another day to her schedule for individual, partner, & family therapy along with private yoga sessions! She is now available Tuesdays, Wednesdays, and Thursdays from 2pm-7pm. If you are curious about any of these offerings, we invite you to schedule a free tea-time (30 minute consultation) with her. 2. Please feel free to drop in to our weekly community acupuncture group with Andrea on Wednesday eves (info below)! 3. I (Lance) am opening up more hours for my Resonance Healing work. A typical session lasts from 30-60 minutes and is held over the phone or using Skype. The sessions use powerful guided meditations to foster a very strong, usually tangible, healing force. I don't have online booking for this yet so to schedule or chat please email or call (610) 203-3747. 4. Lastly we just announced our next Weekend Kundalini Yoga & Healing Immersioncoming up June 20th-22nd (summer solstice). This time the focus will be on...get ready for it.... Blossoming! a deep exploration of the heart chakra. All of the details can be found below or on our website (which is about to get a major update!). Have a fantastic day! Hope to see you soon! with Andrea Tarka, M.Ac. L.Ac., Dipl.Ac. Join us for this dynamic group experience where we explore the sensations of relaxation, calm the nervous system, and ease tension in the body and mind using auricular acupuncture (ear needles) and meditation techniques. with Lance Isakov, M.Ac. L.Ac., Dipl.Ac. Join Us to celebrate the Full MOON with this special Kundalini Yoga & Healing Session. The first half of the class is dedicated to opening, stretching, expanding and raising our energy through Kundalini Yoga. During the second half of the class laying in Shivasna (corpse pose) or sitting in meditation, you will bliss out and touch the infinite as you bathe in the AMAZING universal vibrations of the GONG!!! This class is open to everyone and absolute beginners are encouraged to attend! Please note that this can be a very powerful experience, if you have questions please call Lance at (610) 203-3747. Dress comfortably and bring a mat/towel and blanket. Love is a powerful, mystical, and transcendental force that seems to power the very universe itself. This weekend is dedicated to diving very deep into an exploration of the more subtle qualities of this this force. We will use the powerful tools of Kundalini Yoga, Meditation, Five Element Acupuncture (optional), and Sound Healing, to open the heart center, to shine, to blossom, and to immerse ourselves into the fullness of our very own essence. You will leave this weekend feeling expansive, open hearted, and deeply connected. Call (610) 203-3747 or email Lance with any questions. Register by May 20th and subtract $40 from your price. Kundalini Yoga & Healing SPRING Immersion: BREAKTHROUGH!!! Should I go on a cleanse? Should I go on a cleanse?...and I'm literally eating a piece of pizza (gluten free mind you) while I'm asking that question...Is it just me or does your mind work like that too? Listen, we all want to eat well, look good, feel awesome, and perform amazingly. But even with the abundance of information available to us I still am not sure what is THE healthiest way to eat. Is it vegetarian? is it paleo? Is it a shake in the morning? When I go online, I find hundreds of different (and even opposing) recommended ways of eating that all say...this is it! This is the healthiest diet for you! More often than not with my patients, I find that our diet is the most potent tool we have in our control that will create more health and vitality. The problem is changing our diet can be one of the hardest things to do. That is why I invited Antanas, our resident nourishment expert, to speak about his take on it all and help us answer the fundamental question: How can I best nourish myself? If you are interested in attending Antanas' talk this coming Saturday please let us know. All the details are below in the workshop section! Also for a little more on Antanas read his recent blog post. p.s. Jenni Kay wanted me to let you know that her mindfulness program will now start next week due to the snow. She has 1 spot open if anyone is interested. For more info please contact Jenni Kay! We have some GIFTS to share with you! Grab a cup of tea and read Jenni Kay's new article entitled Self Care for the Holidays. We were so touched by this amazing story and song. We hope you enjoy it too! Wishing you the MOST amazing holiday time & new year EVER. We like you in real life! 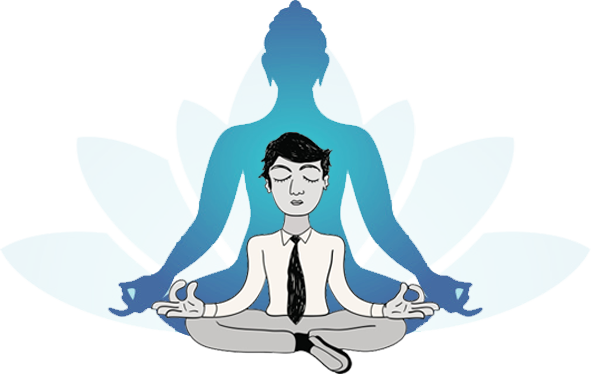 a meditation course designed for those of us who can't sit still! Are you feeling a bit overwhelmed by all of the holiday hoopla? While some of us are preparing for days filled with extended family and busyness… others of us are wondering how we will fill our time with a lack of family and friends to share the holidays with. Either way, emotions are abundant this time of year and it can be difficult to take good care of ourselves in the midst of all the fanfare. When our stress and anxiety levels are soaring, it is difficult to remember how to soothe ourselves, get grounded, and re-group. And it is especially challenging at holiday time when our senses are over stimulated with noise, lights, and people. So, before the company arrives and you are in the throws of activity (or in a slump of lonely melancholy), take a few minutes and make a plan. Write down on a note card or small slip of paper five things that you can do to take good care of yourself when you are feeling stressed/anxious/overwhelmed. Need some ideas? You might: take a walk; make a cup of tea; enjoy ten deep breaths. Be sure and write down one thing that involves another person, i.e. : Call a friend. When things get difficult, pull out your plan and offer yourself a few moments of self-love. Holidays tend to drastically change our routine (and put pressure on us to be jolly about it) so it is important to nourish your body throughout the winter festivities. While you may be surrounded by delectable pies and pastries, remember to supplement the sweets with good food that is grounding and that will balance out the sugar high. Let your body be your ally – take care of it so that it will help take care of the rest of you, particularly your mind and emotions. It doesn’t always work to vent about our family/friends to our family/friends. You might consider reaching out to a therapist for support. Gift yourself the time and space to connect with a professional who will listen non-judgmentally, confidentially, and walk with you through the holiday season and into the New Year. Or, consider scheduling a massage, acupuncture session, or taking a yoga class. You might set up a time to have tea with a friend. You know yourself best… take a moment and consider who you might reach out to for support and then make it happen. Jenni Kay Long, LSW, is a holistic psychotherapist, group facilitator, and yoga teacher at Wayne Family Wellness (waynewellness.com) in Wayne, Pennsylvania. For more information about Jenni Kay and her work, send her an email (jennikay@waynewellness.com) – she’d love to hear from you!